Ask someone to name the top four smartphone manufacturers globally, and they might guess Samsung, Apple, Nokia and HTC. Yes, that would sound right except that number four is, believe it or not, Chinese manufacturer ZTE. Recently, the company was linked to a possible espionage claim leveled against it by The House Permanent Select Committee on Intelligence. ZTE is now also famous for something else as it has become the first Chinese smartphone manufacturer to roll out a handset powered by Android 4.2, which was introduced by Google at the end of last month. The handset that is loaded with Android 4.2 is the ZTE N880E. 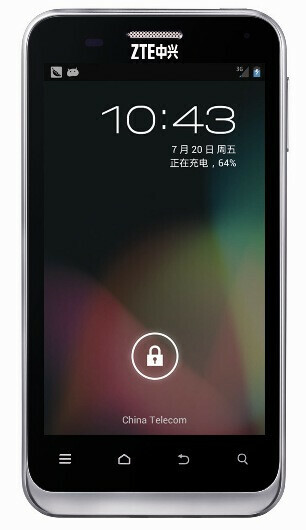 The device was originally released in May, and in July it became the first ZTE model to run Android 4.1. Now, with the installation of Android 4.2 on the handset, the mid-range model is the first phone available from a Chinese manufacturer to be powered by the latest Android OS build. The ZTE N880E has sold over 1 million units since launch and even though it is now powered by Android 4.2, it is not among the OEM's top-shelf models. The ZTE N880E offers a 4 inch, WVGA display with a 1GHz Qualcomm 7627A processor and 512MB of RAM on board. 4GB of native storage can be expanded to 36GB using the microSD slot. A 3.2MB camera is on back and a 1650mAh battery keeps the lights on. Considering the popularity of the model, ZTE felt it would be easier to get a Jelly Bean phone to market by relaunching the ZTE N880E with Android 4.1.1 during the summer. Thanks to the installation of Android 4.2, the ZTE N880E is equipped with a number of new features such as a Swype-type virtual QWERTY option, Quick Settings and an improved Google Now, to name a few. ZTE makes rather solid devices, anyone who has used a low range ZTE blade can bear me witness. So exactly, what r the top 4 smartphone manufacturers now? Thumb up for ZTE, HTC and SS are still struggling with 4.1 updates for their TOP phones, HTC said they would only upgrade phones with more than 1G of RAM. 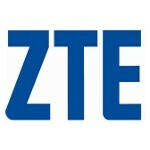 ZTE has shown to all Android OEMs a great way to do business. 1 more reason for HTC to drop Sense or make it lighter. I think that's tradeoff and there are many more people like Sense, but I guess the resource eating side of Sense is 1 of main reasons that make One X lose the war to GS3. "The ZTE N880E offers a 4 inch, WVGA display with a 1GHz Qualcomm 7627A processor and 512MB of RAM on board" whereas xperia arc s has 1.4 Ghz but not updated to Jelly bean ZTE is better than Sony . That too an ARM Cortex A5 CPU with Adreno 200 GPU on the ZTE device. Blame Sony's poor development, the Kernel used in their ICS-updated 2011 devices were just the old 2.6.x gingerbread kernels which they managed to port to ICS with few modifications, but they couldn't do the same thing for JB since they would run into vsync and hwcomposer problems. They should have ported at least Kernel 3.0.52 but that would require a lot of resources and time not to mention that those devices were already obsolete by this time. Usable RAM is also a problem on MSM8255T chipsets, only around 352MB is usable out of 512MB since the kernel and hardware features like the GPU and camera will take up some RAM leaving the system with a far lower amount of usable RAM, that would clutter the multitasking experience. Sony had to phase out old devices in order to introduce their newer lineup, makes sense. Please correct the 3.2MB camera. We wont be flame bated by you. sheesh. The likes of Samsung, HTC, Sony, LG and the rest of the lot needs to learn from ZTE. That's not the 4.2 clock, probably not the 4.2 lockscreen. everyone needs to understand that it's a stock android. it's in the nexus level so it's fast to update. Just because they can put the latest software on it, doesn't mean they should. I am sure the user experience is one that most of us would hate. the only reason why ZTE surpasses the likes of nokia and HTC its because they partner with other small mobile maker... coz it is said that the phones in india (karbonn and micromax to be exact) are ZTE and Huawei... they manufactured it (just like nexus---samsung, LG, HTC, ASUS manufactures it for google's part) but not made by these companies! and phone companies in my place,Philippines, rebrand the micromax or karbonn phones... coz when you ask anyone if they know ZTE or Huawei, they dont know! but they are actually using it (in the means of pocket wifi, broadband stick etc.) and some carrier rebrand these phones for their cheap line ups (like t-mobile mytouch series, and in my place, the netphone and cloudfone) so for me, the biggest player in mobile space are Nokia, Samsung, BlackBerry, Apple, LG,Motorola and Sony..... coz they have the biggest name in this space! "The ZTE N880E offers a 4 inch, WVGA display with a 1GHz Qualcomm 7627A processor and 512MB of RAM on board. 4GB of native storage can be expanded to 36GB using the microSD slot. A 3.2MB camera is on back and a 1650mAh battery keeps the lights on" So, these guys can JB 4.2 on this phone and other companies refuse. Thanks to XDA and CM my captivate - a much better phone than this ZTE one - has JB 4.2. Kudos to ZTE! !